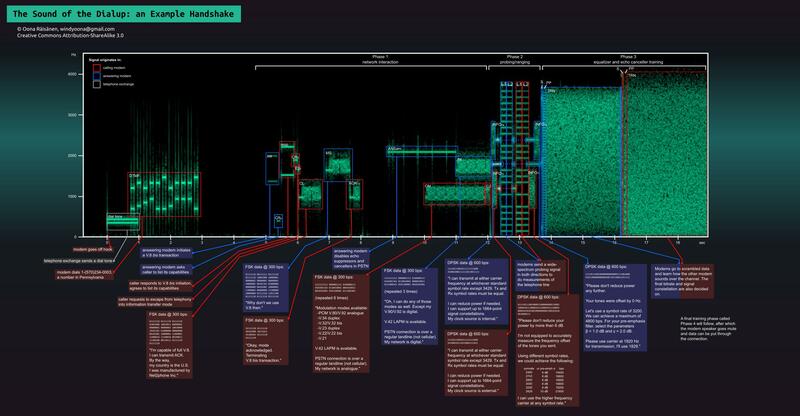 A fascinating, annotated image of what a modem handshake (V.90, apparently) looks like when split up into frequences (is that called a spectrogram? ), and what the individual bits mean. A pity that my modem days were so long ago that I don’t really recall what the handshake sounded like; it would have been even more fun to correlate the sound I heard with the visual description in that image.